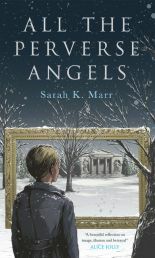 Sarah K. Marr wrote her atmospheric historical novel All The Perverse Angels (Unbound, 2018) after studying law, anthropology and theoretical physics at the Universities of Oxford, Manchester and London, respectively. 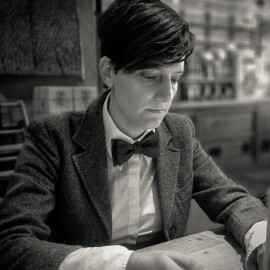 She currently lives in London, where she spends too much time in art galleries and buys too many second-hand books. Her debut novel tells the story of Anna, an art curator, who leaves a psychiatric hospital and finds herself in an English village, sharing a rented cottage with her partner. Seeking refuge from the aftermath of past infidelities, she constructs a personal reality from the brushstrokes and histories of her favourite artworks. A chance discovery in the cottage’s attic leads Anna on a journey back to the late nineteenth century and the complicated relationships of two young women studying at Oxford University.